It's time to hunt some Prey - Arkane's sci-fi adventure is out in stores right now, and judging by the first wave of reviews, it might be worth securing a copy. Not everyone is in total agreement, but the general consensus is a positive one. 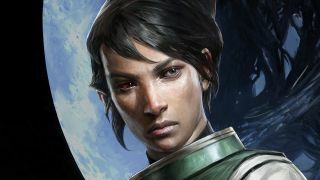 Bethesda's new review policy means no reviews until on or after the game's release date, so expect more critiques to continue trickling in as the week goes on. You can check out what we think in our Prey review- "Prey is a playground for creativity where you control the variables" - but here's what other critics are saying. "As an example (and without spoiling late game acquisitions), the GLOO Gun can be used offensively to freeze the mimic enemies in place and allow you to take them down without risking them attacking. Outside of combat, it has many uses however; to create platforms on walls that can be climbed, to block poisonous gas leakages or to extinguish fires. No weapon has a singular use in Prey, and it’s fun to experiment." "A major sticking point for me so far is the behaviour of the Mimic enemies. As their name suggests, they have the ability to shapeshift into any object that is in their immediate surroundings. This means that you can walk into an ordinary, empty room and not know that you're actually seconds away from having a Mimic pounce on you. The idea behind this is sound--it creates a constant sense of tension--but in practice it has very quickly become annoying. Not just because a Mimic can attack when your back is turned and you're focused on something else, but also because the appearance of a Mimic is signalled by a sharp, shrill sound effect that--thanks to its overuse--soon grates. It is designed to create a jump scare moment, but since I was frequently looking in another direction and away from the Mimic, it often felt mistimed." "The abilities tree is where things really get dynamic as the mixture between Chipsets and Abilities has an obscene amount of possibilities. It’s really all about how you want to play. … There are a bevy of unlockables here, and I can’t list them all. … It seems nearly impossible to max out this skill tree. For fans of customization and choice, Prey does not disappoint." "Prey has one of the strongest openings I’ve played in a game in years. It immediately asks questions and sows doubt, planting the seeds of a mystery I am fully invested in unraveling. There are ideas in place that games can be uniquely suited to exploring — concepts of perception, of self, of whether your experience is your own. Just talking about the foundation it lays is exciting, and I’m not ashamed to admit how rare this is for me." "Talos-1 is a massive place: not just structurally, but also emotionally and politically. Crew members, both living and dead, are well-realized with personalities that make them more than just fodder. They have full names; they fight, they bicker, they have office romances - they even play Dungeons and Dragons! What could otherwise be a generic horror setting feels real thanks to clever writing and solid voice-acting, and it helps drive home what’s at stake for Yu and company." "So far, it doesn’t feel like Prey works as a stealth game, an action game, or a puzzle game. It’s supposed to be some combination of all three, but I don’t think it does any of them very well. … This is my biggest problem with Prey. It seems to borrow heavily, both conceptually and mechanically, from a variety of other games, but strips out much of what made those games interesting. I don’t think Prey does anything particularly bad, but so far its biggest sin might be being a bit dull. Its main strength is probably level design, but the action, stealth and puzzle components all seem lacking for different reasons."